He shocked the nation after breaking off his relationship with Jessika Power last week. 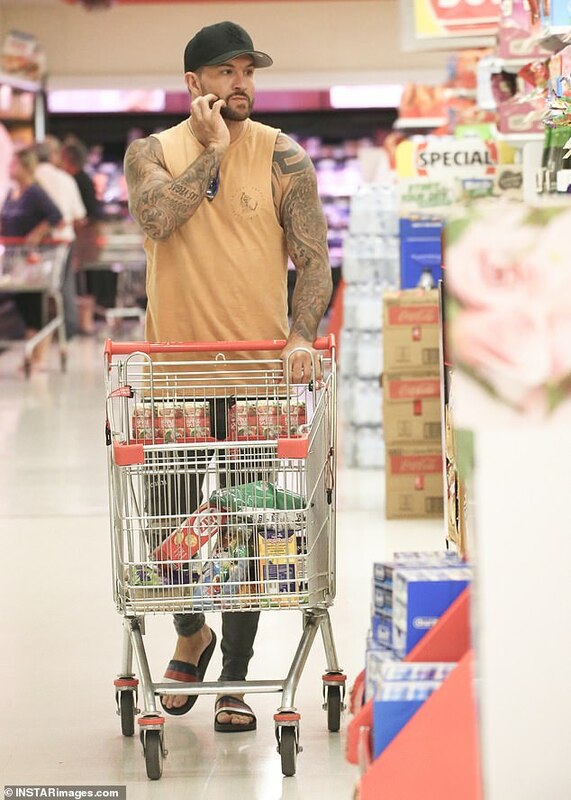 And on Wednesday, Married At First Sight star Dan Webb appeared downcast while grocery shopping by himself. 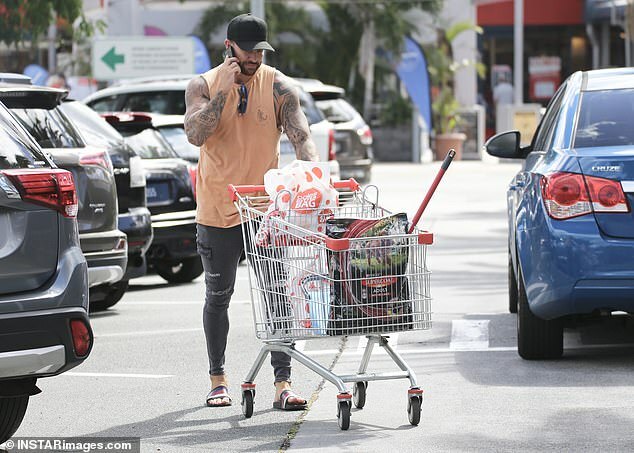 The father-of-one, 35, appeared to stock up on cleaning products and pet food while strutting around a Coles store in Brisbane. For the occasion, Dan wore a bright orange muscle T-shirt teamed with a pair of grey skinny jeans, ripped at the knee. 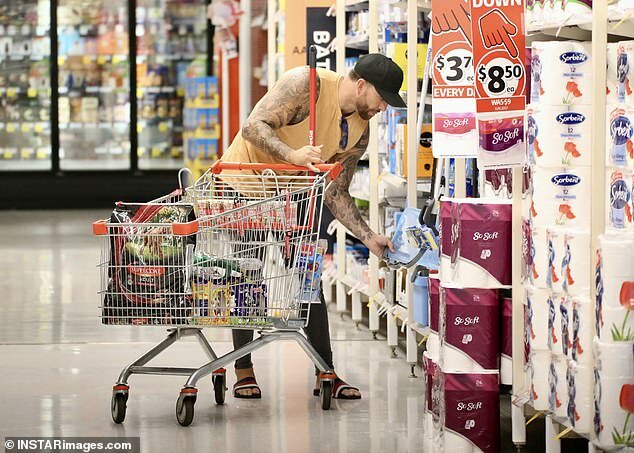 He also wore a stylish pair of slides and accessorised with a black cap. 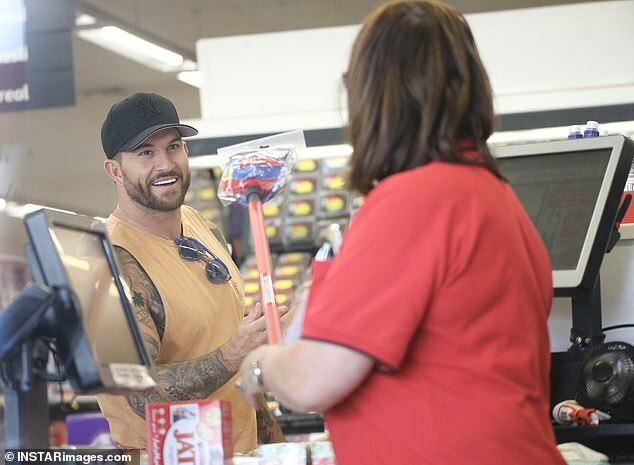 Dan tucked his sunglasses into his shirt while he browsed the store for various household products. 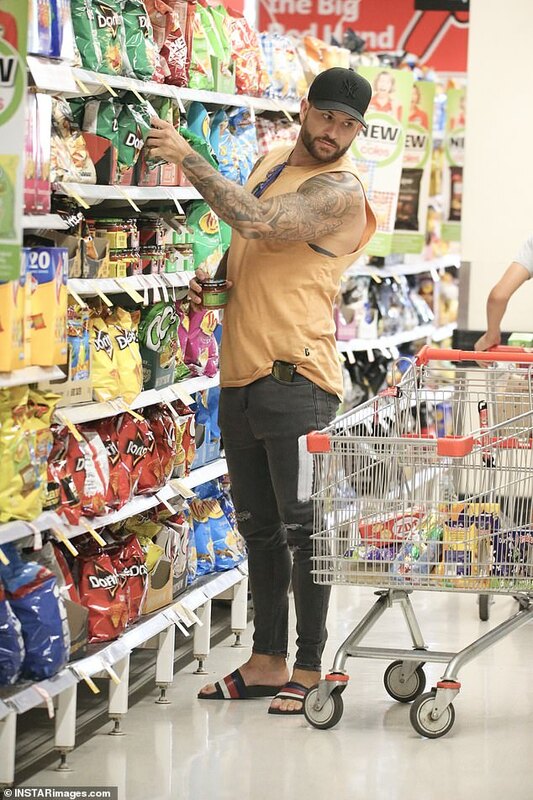 At one point, Dan was seen shopping in the potato crisps aisle before picking up a packet of Doritos. 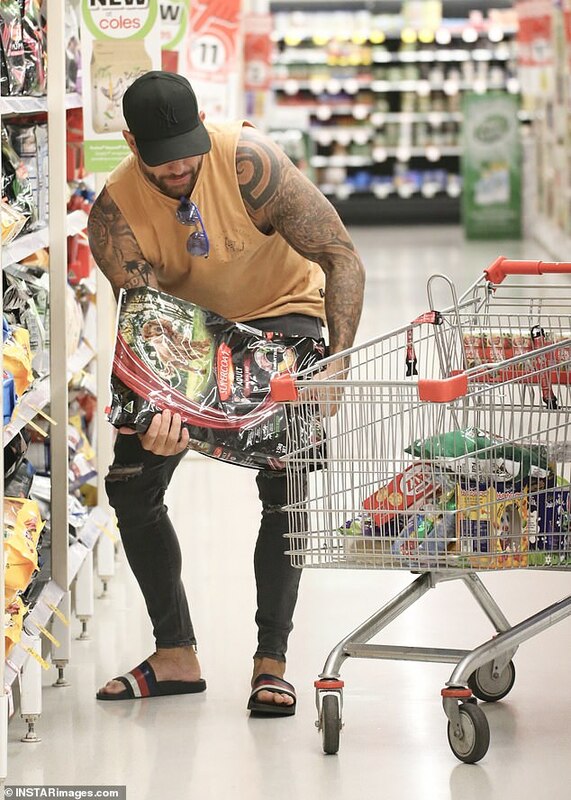 He then made his way over to the pet food section, lifting what appeared to be a heavy bag of dog food. 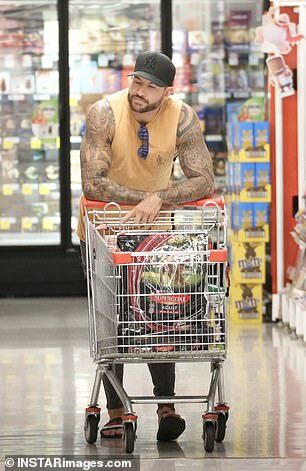 The hunk then casually looked around while resting his arms on the shopping trolley. 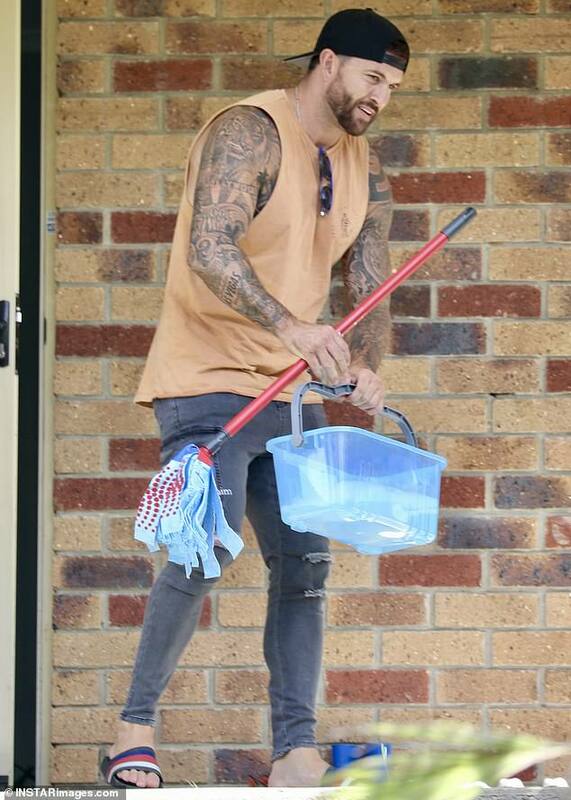 Dan finished off his shopping trip by picking up a few cleaning products – including a mop and bucket. Meanwhile, after signing with a talent agency this week, Dan’s ‘manager’ contacted a Melbourne bar via Instagram, asking the owners if they would be interested in Dan hosting an event. Section 8, which is located in the city’s CBD, later shared the message publicly on Facebook and joked in the caption: ‘…Never a dull day in our DMs’. The message Dan’s ‘manager’ sent to Section 8 appears to be a generic form letter that was also sent to other Melbourne venues. ‘Hi there! I am MAFS Dan Webb’s manager. Just wanted to touch base to see if you would be interested in having him in to host a night?’ it read. After Section 8 shared the message to Facebook, the social media manager of another nightclub, YoYo, claimed they’d received the same offer. ‘We got that too!’ they wrote. And it comes after Dan confirmed his split with Jessika in a video published by Yahoo last Friday. 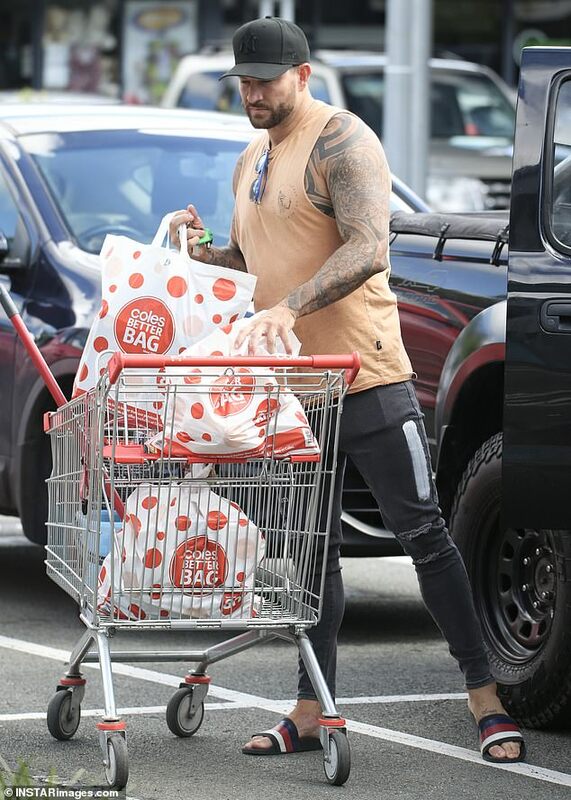 The former rugby player said that Jessika’s rumoured tryst with MAFS groom Nic Jovanovic was a major factor in their breakup. 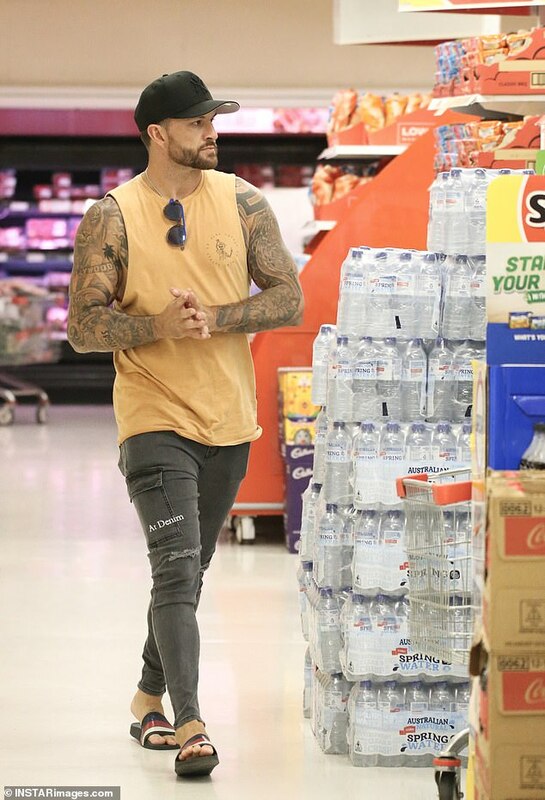 ‘I just wanted to get to the bottom of the whole situation with her and Nic – if she flirted with him, didn’t flirt with him,’ he explained. ‘There’s rumours about her hooking up with him in an elevator. I’m hearing it happened.